Promoting the ideal of “Service Above Self” by giving of our time and talents to help our communities. 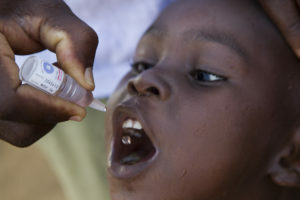 In the last twenty years, Rotary has committed over $600 million in its Polio Plus campaign to eradicate polio. Today, Rotary International is focusing on promoting literacy, potable water, and environment and infra-structure development concerns. Rotary continues to work for world peace and understanding. The Paoli-Malvern-Berwyn (PMB) Rotary Club has pledged its commitment to these ideals and is striving to carry on with the individual and collective effort of its membership.